The days are getting cooler and it will be winter soon. 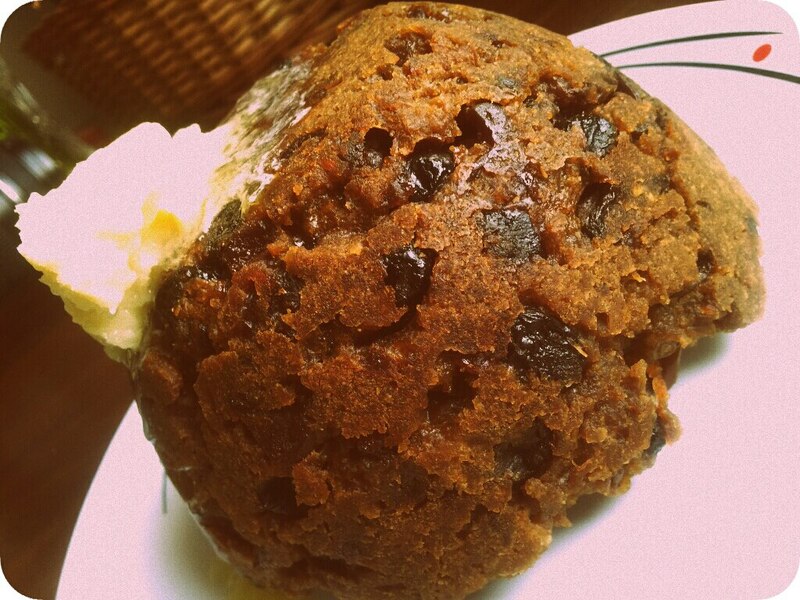 We found a nice article on the forgotten Christmas pudding. Katy Dalal, my mom in law, started a catering business from home many years ago. As she tried out new dishes and cuisines her popularity grew as did her skills and knowledge in the kitchen. 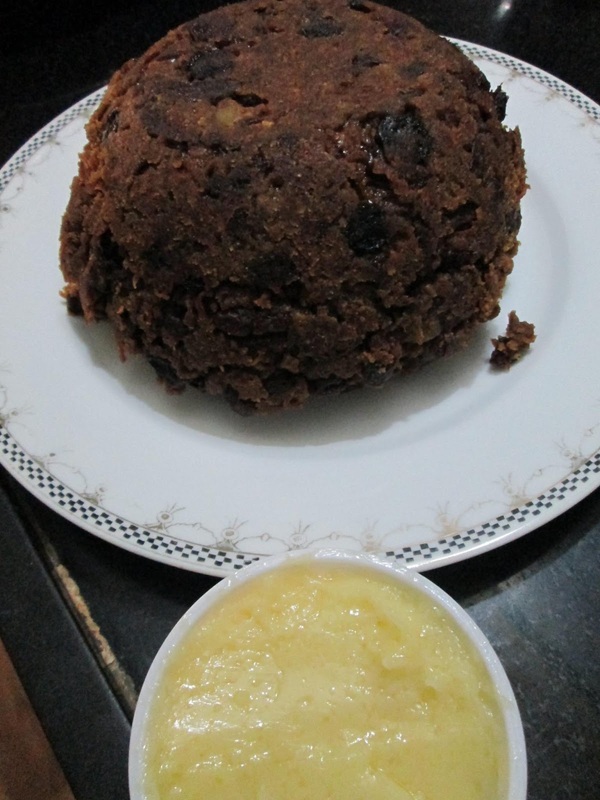 One of her biggest successes has been the Christmas Pudding with Brandy Butter. I started helping her with the making after K and I were married and I always found it to be one the most fun things to do with her. I like to believe it also made her happy to see me pitching in. Piles of raisins, black currants, dried prunes and a host of other, then unfamiliar, ingredients would be cleaned and then put in a huge plastic barrel. Then endless bottles of rum and brandy would be poured in, and K would also fling in the leftovers from random opened bottles of wine and other suitable liquor that was handy. In a week the alcohol would have to be topped up as the shriveled fruit would be plump with the booze and would have risen way above the alcohol in the barrel. The barrel would be sealed up and forgotten till a week before Christmas. Large quantities of juicy red winter carrots have to be grated. Along with this a mountain of apples are grated. Fresh bread crumbs, white flour, demerara sugar, molasses, candied ginger, ground almonds, butter, freshly powdered nutmeg, cinnamon and cardamom, and eggs are all mixed in a huge vat. The soaking fruit is drained and then added to the mix. The tins are buttered and lined with butter paper. Then the pudding mix is filled in, topped with a circlet of butter paper and then sealed either with a lid or with aluminium foil. The larger pudding moulds come with a lid, the smaller ones don’t. Steam the puddings for 4 hours and they are ready to be dispatched. We recommend that the puddings be steamed once again for an hour before serving. The brandy butter is a delicious accompaniment to this pudding. Blend regular salted butter with powdered sugar and a generous dash of brandy. Chill the butter till it is nice and hard. Ma in Law would serve the pudding with a dash of drama. She would light half a cup of brandy and pour it over the pudding. We would put off the lights of course! I have taken over the mantle of Christmas Pudding maker now. And I look forward to Christmas every year when we do a special Christmas menu and these traditional Christmas Puddings.